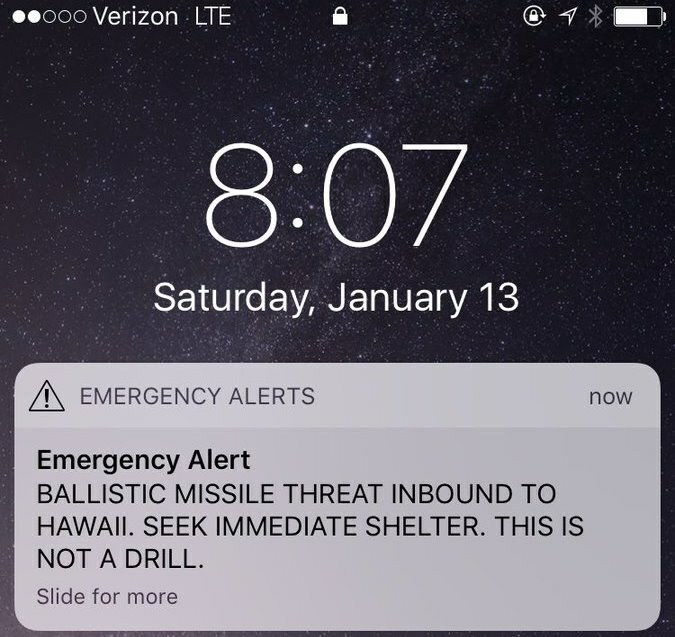 2018: An emergency alert notification is sent to Hawaii residents warning of a “ballistic missile threat inbound to Hawaii.” The alert—which went out to smartphones and was broadcast on television and radio—turns out to be a false alarm. A second emergency alert goes out 38 minutes after the initial message confirming the false alarm. Hawaii Gov. David Ige claims that the initial alert went out as a result of human error. 2009: The Covenant School, a private Christian prep school in Dallas, Texas, defeats visiting Dallas Academy 100-0 in a high school girls’ basketball game. More than a week after-the-fact, Covenant’s headmaster posts a message on the school’s Web site which says, “It is shameful and an embarrassment that this happened,” and goes on to note that Covenant will make “a formal request to forfeit the game, recognizing that a victory without honor is a great loss.” Nevertheless, Dallas Academy cancels its scheduled rematch with Covenant, and withdraws its eight-member girls’ team from the Texas Association of Private and Parochial Schools league. Prior to withdrawing, Dallas Academy—which specializes in teaching students struggling with “learning differences”—hadn’t won a girls’ basketball game in four years. 1982: Shortly after takeoff from Washington National Airport in Washington D.C., an Air Florida 737 careens off the 14th Street bridge and plunges into the Potomac River, killing 77 people. On the same day another disaster befalls D.C., as three people are killed when a D.C. Metro subway train derails.